Afton Scientific operates cGMP facilities designed and approved for the manufacture of aseptic and terminally sterilized parenteral drugs for clinical trials and commercial filings. Specializing in small batch parenterals, Afton has capabilities to formulate, sterilize, fill, label, serialize, and package batches from 100 – 40,000 units with fill volumes of <1mL – 100mL. Afton has a history of successful NDA and ANDA drug registrations and audits by the FDA, MHRA, and PMDA. Our experienced team works with clients from start to finish including assistance with process development up through regulatory filing and beyond. Our focus is always the success of your product. Afton is also the global leader in pre-sterilized (Ready-To-Fill®) vials, stoppers, and seals. BioPharma Solutions, a business unit of Baxter, partners with pharmaceutical companies to support their commercialization objectives by providing scientific expertise, sterile contract manufacturing solutions, parenteral delivery systems, and customized support services needed to meet the unique challenges that parenteral products face. Experience makes the difference: with over 80 years of parenteral expertise, we can help to navigate the pathway of success for your molecule. BioPharma Solutions provides our clients with confidence of delivery, service, and integrity – we know the work we do is ultimately vital to the patients you serve. BioPharma Solutions offers resources to help solve the high-stakes challenges you face in today’s complex parenteral marketplace. Catalent Pharma Solutions is the leading global provider of advanced delivery technologies and development solutions for drugs, biologics and consumer health products. With over 80 years serving the industry, Catalent has proven expertise in bringing more customer products to market faster, enhancing product performance and ensuring reliable clinical and commercial product supply. Catalent employs more than 10,000 people, including over 1,400 scientists, at more than 30 facilities across five continents and in fiscal 2017 generated $2 billion in annual revenue. Catalent is headquartered in Somerset, NJ. Jubilant HollisterStier Contract Manufacturing & Services is an integrated contract manufacturer of sterile injectables, ophthalmics, otics and sterile and non-sterile topicals and liquids. Our facilities in North America provide specialized manufacturing services for the pharmaceutical and biopharmaceutical industries. We provide a full range of support and services to streamline the manufacturing process such as on-site assistance from process qualifications through product release. Metrics, Inc. (Greenville, NC) is a full-service global CDMO specializing in oral dosage forms. A subsidiary of Mayne Pharma USA, Metrics offers clients comprehensive analytical and formulation development from first-time-in-man (FTIM) through Phase I, II, III CTM manufacturing and commercial launch. Unique capabilities include potent and cytotoxic compound controls (OEL 3A and 3B), controlled substances, bioavailability enhancement and modified release. Patheon, part of Thermo Fisher Scientific, is a leading provider of CDMO services to the global pharmaceutical industry for a full array of solid and sterile dosage forms. Patheon encompasses the combined CMO capabilities and pharmaceutical product development services (PDS), as well as the Biosolutions and Biologics (BIO) business. Pfizer CentreOne is multi-specialty contract manufacturer that has been developing, manufacturing and commercializing APIs and drug products for more than 40 years. Our areas of focus are API synthesis and sterile injectables fill-finish. As a global CMO embedded within Pfizer, we have a dedicated team of experts who are devoted to you and your compound, backed by the quality and resources of Pfizer. Drug manufacturing is a complex journey filled with risk. Let us be your guide. Piramal Pharma Solutions is a Contract Development and Manufacturing Organization (CDMO), offering the end-to-end services required to bring a drug into the marketplace quickly and safely. We offer Pharmaceutical Development and Manufacturing solutions through collaborative partnership models, and we work with our customers throughout the drug life cycle to ensure quality and unparalleled customer service. At Piramal Pharma Solutions, we have carefully created a vast network of Development and Manufacturing facilities located in North America, Europe and Asia that offer all services necessary during a drug’s life cycle, from Drug Discovery & Development to Commercial Manufacturing of off-patent Active Pharmaceutical Ingredients (APIs) and Finished Dosage Forms (FDFs). Our capability as an integrated service provider and our experience with various technologies enables us to serve both Innovator and Generic companies worldwide. Therapure is an integrated CDMO that provides services for complex proteins expressed from various sources such as mammalian cells, transgenic and plasma. In addition, we provide aseptic fill/finish services for both biologics and small molecules. Our people have the scientific and technical expertise to successfully deliver at every stage of product development and commercial manufacturing of your therapeutic with passion, responsiveness and commitment to improve patient care. 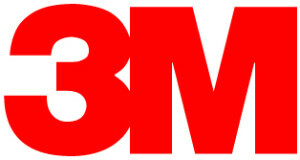 With more than 50 years of global pharmaceutical development and manufacturing services experience, 3M is proud to provide customers with proven inhalation, transdermal, oral and topical manufacturing expertise, while ensuring the highest standards of manufactured product delivery from feasibility to market. AAIPharma Services Corp. and Cambridge Major Laboratories, Inc. have joined to form Alcami, a world-class supplier of comprehensive pharmaceutical development and manufacturing services. With seven sites across the globe, our combined capabilities include API development and manufacturing, solid state chemistry, formulation development, analytical development and testing services, clinical and commercial finished dosage form manufacturing (oral solid dose and parenteral), packaging, and stability services. Avid Bioservices is a dedicated contract development and manufacturing organization (CDMO) focused on development and cGMP manufacturing of biopharmaceutical products derived from mammalian cell culture. The company provides a comprehensive range of process development, high quality cGMP clinical and commercial manufacturing services for the biotechnology and biopharmaceutical industries. With nearly 25 years of experience producing monoclonal antibodies and recombinant proteins in batch, fed-batch and perfusion modes, Avid’s services include cGMP clinical and commercial product manufacturing, purification, bulk packaging, stability testing and regulatory strategy, submission and support. The company also provides a variety of process development activities, including cell line development and optimization, cell culture and feed optimization, analytical methods development and product characterization. CMIC CMO USA (“CCU”) is a part of the CMIC Holdings group, a pioneer and leading CRO company in Japan providing comprehensive support services to pharmaceutical companies throughout their whole value chain, including development, manufacturing, sales and marketing: a pharmaceutical value creator. For over 10 years, CCU has provided fully integrated contract development, manufacturing, and analytical testing solutions of oral solid dosage forms, from early drug development through clinical and commercial manufacturing. With strong expertise in all fluid bed technologies, CCU can provide solutions to even the most challenging solid dose formulations. Together with the seamless collaboration with our CDMO division in Japan and Korea, CCU is uniquely positioned to serve as the pharmaceutical industry’s preferred strategic partner. Coating Place, founded in 1976, has over 40 years of experience in the CDMO industry. The company has advanced the design of their Wurster coating units by developing proprietary fluidization plates and nozzles. This technology, along with the feasibility and product development services, enables Coating Place to provide customers with the highest quality services available in the Wurster fluid bed coating industry. In addition to Wurster coating abilities, Coating Place is also capable of many other support services for research and commercial manufacturing. This includes services such as granulation, extrusion/spheronization, ball milling, tableting and capsules filing. Our capabilities are flexible enough to coat small batches of roughly 10g up to 800kg. Coating Place combines experience and expertise in engineering, development and manufacturing to offer efficiency in the movement of a project from the small-scale development phase to commercial manufacturing. CPC – Contract Pharmacal Corp.
Contract Pharmacal Corp. (CPC) develops, manufactures and packages premium pharmaceuticals, over-the-counter drugs and dietary supplements. Owned and operated by the same family that founded the company in 1971, CPC today employs 1000 of the most highly skilled, experienced professionals in the industry and to date has commercialized over 4,500 products. More than 60 customers around the globe rely on CPC from the early stages of product development to commercial manufacturing and packaging. Our customers rank among the world’s top pharmaceutical companies, retailers and wholesalers. DPT, a Mylan company, is a leading contract development and manufacturing organization specializing in semi-solid and liquid dosage forms. Working in close consultation with clients, our experts streamline development from pre-formulation through commercialization. With an 80-year legacy of excellence, unmatched technical expertise and fully integrated drug development and manufacturing services, DPT delivers proof in every product. 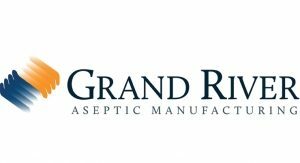 Grand River Aseptic Manufacturing (GRAM) is a full-service parenteral contract manufacturer, approved by the FDA for aseptic manufacturing, with and without terminal sterilization. We are located in two facilities in downtown Grand Rapids, Michigan. Thanks to our highly skilled, experienced people and a state-of-the-art cleanroom, we are able to take projects from pre-clinical trials through successful commercialism. At GRAM, we treat every client project, regardless of volume or complexity, as if it were our own. Groupe PARIMA is an integrated Contract Development and Manufacturing Organization (CDMO) specialized in the development and manufacturing of non-sterile liquid, suspension, semi-solid and spray drug products. We have over 20 years expertise in supporting the full life-cycle of drug products, from initial formulation development to manufacturing of clinical lots and then full commercial scale manufacturing. With presence in 27 countries, we operate on a global scale. In our US-FDA and Health Canada inspected facility, we currently develop and manufacture drug products (prescription and OTC) for the US and Canadian markets, in addition to the European, Asian, Latin and South American markets. We can serve as your gateway to overseas markets. iBio is a full service “Lab to Launch” CDMO, located in Bryan, TX, specializing in the production of biotherapeutic proteins. iBio has experience in the production of monoclonal antibodies, vaccines and other therapeutic proteins. The cGMP compliant facility is a large-scale facility with capacity to produce hundreds of kilos of biologic drug product per year using its proprietary plant-based expression system. An on-site process development laboratory and pilot facility can deliver experimental quantities of protein in weeks. The facility has full service analytics for drug product release including in-depth mass spectrometric analyses of protein structure and a BSL2+ facility for cell-based assays. A finish-and-fill suite can provide bulk fill or vial fill services. Our partnership with CBR International, Boulder, CO, can provide our clients with regulatory and clinical planning services, including e-publishing of FDA filings. IDT Biologika is an innovative privately-held company with more than 90 years of experience in research, development, manufacture and distribution of biologics for the global protection of human and animal health. With the expertise and capacity to handle large-scale campaign production of human vaccines and biopharmaceuticals, IDT Biologika brings development, testing and regulatory excellence along with state-of-the-art manufacturing lines required to advance projects with the highest level of quality, efficiency and consistency of supply. LSNE Contract Manufacturing is a privately held company with three manufacturing facilities located in New England. LSNE has been providing cGMP services to the pharmaceutical, biotechnology and medical device industries since 1997; specializing in a wide range of services including process development, fill/finish and lyophilization. LSNE offers both the flexible approach commonly required with preclinical projects, as well as the cGMP framework necessary for late stage clinical and commercial manufacturing. Through the thoughtful integration of three processing facilities, qualified staffing and an extensive manufacturing history, LSNE is strategically positioned to provide uninterrupted material for clinical through commercial. For over 65 years, Mission Pharmacal has remained true to the commitment of its founder, H.N. Walsdorf, to provide the highest quality healthcare medications and treatments available to its loyal consumers. Privately held, Mission has headquarters and manufacturing facilities in San Antonio, TX. The company also has R&D facilities in Texas, as well as a commercial office in the Northeast corridor, the hub of the pharmaceutical industry. Now a third-generation company, Mission Pharmacal manufactures a wide range of prescription medications and over-the-counter products in four expanding therapeutic areas of focus: women’s health, urology, pediatric, and dermatology. The company’s focus starts with the selection of superior raw materials, continues through state-of-the-art manufacturing facilities, and finishes with product packaging that reflects its emphasis on patient well-being. Mission Pharmacal have an established expertise in solid dose tablet manufacturing that has earned international acclaim. In June 2015, Mission Pharmacal acquired ProSolus Pharmaceuticals, a transdermal research, development, and manufacturing company. ProSolus is focused on formulating and developing high-barrier-to-entry Transdermal Drug Delivery systems (TDDs) for ANDA, NDA, and 505(b)(2) applications. Its state-of-the art pharma facility in Miami, FL is managed by a seasoned leadership team with more than 65 years of experience. With the newly completed manufacturing wing and 50 million+ transdermal patch capacity, ProSolus effectively and efficiently delivers results from the conceptual formulation stage, through the clinical stage, to the coating stage completing the cycle and preparing the product for packaging. Founded in 1991, Particle Sciences has established itself as a leading contract development and manufacturing organization (CDMO). Staffed by experienced industry experts we offer drug product formulation and a comprehensive suite of supporting services including analytic, bioanalytic, physical characterization and manufacturing. A variety of technologies and the ability to deal with poorly soluble and highly potent compounds under GxPs in both sterile and non-sterile environments distinguishes Particle Sciences from others. Our goal is to design and produce the most effective drug products for our clients. From the beginning, we have been leading the way with commercial innovations, scaling our first nano-particle back in 1994 to over 500,000kg per year. Today our clients include over half of the leading pharmaceutical and biotech companies, governments, foundations, universities, hospitals and privately-backed start-ups. 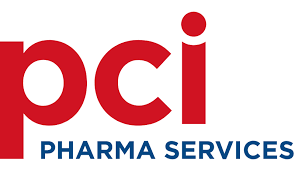 PCI is an integrated full-service provider and a trusted partner of many leading pharmaceutical companies globally; we offer unparalleled expertise and experience in taking compounds from the earliest stages of development through to commercial launch, delivering speed to market and commercial success for our customers. Core services include: Analytical services, formulation development, clinical trial services, commercial manufacturing and packaging, QP services, supply chain management, storage and distribution. Customers may choose to use us as a complete development partner and benefit from our full range of services or choose any of our core services as a stand-alone offering. 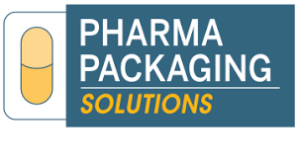 Pharma Packaging Solutions (PPS) is a turn-key contract packager, offering commercial packaging, product launches, stability services, cold chain packaging and product retain services to regulated, healthcare industries. We offer primary filling, secondary packaging, kitting services and folding cartons, applying our 20+ years in the contract packaging marketplace. Our facilities are state of the art and readily scalable to accommodate a wide variety of regulated packaging requirements. PPS is a temperature and humidity-controlled site and maintains video surveillance of the packaging suites. PPS offers “cold-chain” refrigeration, serving temperature-sensitive product packaging. Our site is approved by FDA, DEA, MHRA and the Tennessee Board of Pharmacy. Renaissance develops and manufactures high-quality pharmaceuticals to fulfill specific patient needs. Renaissance recognizes that patient care relies on quality pharmaceutical drugs that have gained the confidence of healthcare professionals. We are working passionately as a trusted contract manufacturer while building a specialized portfolio of pharmaceutical products that you can trust to be time-tested, safe, reliable and proven. With decades of experience and our state-of-the-art facility in Lakewood, NJ, we can develop and manufacture a broad range of sterile and/or environmentally controlled products. From early-stage development through final production, Renaissance has the expertise and resources you need for success. Tapemark is a world leading contract developer and manufacturer of web based drug and device products with a focus on transdermal and oral thin films serving the pharmaceutical and medical device markets. Our core values of Excellence, Responsibility, Integrity, Community, Knowledge and Attitude have guided us for over sixty years in providing high quality, innovative, and personalized services to our customers. 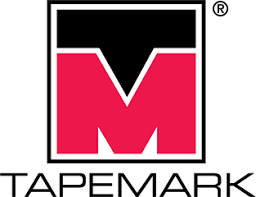 When you partner with Tapemark, you access world class facilities, talented professionals and a structured process tailored to each customers and projects specific needs. Each day, we endeavor to exceed the expectations of our clients, ensuring the success of our customers, our employees, and our community. 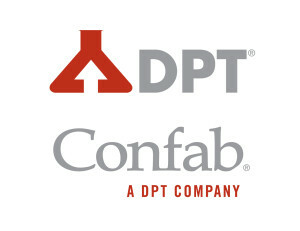 For decades, Tapemark has provided customers with excellent services, including integrating formulation, blending, coating, converting, and packaging to manufacture a wide array of products including unique and award winning drug delivery systems, for both NDA/505(b)2 and generic drug applications including those that are for Schedule II -V controlled substances. TEDOR Pharma, Inc. is a specialty CDMO focused on providing development and manufacturing of solid oral dose products, including extensive expertise with controlled substances and controlled release formulations. TEDOR recently completed and qualified an expansion of its large-scale manufacturing capabilities at its facility in Cumberland, Rhode Island. The multi-million-dollar investment included the installation of additional multi-purpose cGMP manufacturing suites with large-scale, solid-dose manufacturing equipment. TEDOR’s enhanced manufacturing capabilities support customer development projects from R&D through to large-scale commercial manufacturing. The Pharma & Biopharma Outsourcing Association's members are Contract Manufacturing Organizations and Contract Development and Manufacturing Organizations (CMOs/CDMOs) from across the therapeutic spectrum. Our Founding Members each nominated a member for the PBOA’s Board of Trustees, and have been instrumental in helping determine the PBOA’s direction, parameters and bylaws. Our General Members gain access to our regulatory, legislative and business contacts, participate in workshops, contribute to position papers and industry research, benefit from our Business Solutions partnerships, and more. The PBOA also includes Affiliate Members, Media Partners, and an Advisory Committee.